What is the best mattress for bedwetters? If this question has been troubling you for some time, today is probably your lucky day. Bedwetting or urinary incontinence is one of the most embarrassing conditions affecting both children and adults. While most children are successfully trained to be able to hold their bladders by ages 6-7, many more continue to wet their beds until much later. Bedwetting in adults is actually more common that you might think. In fact, it is estimated that 2 percent of adults wet their beds on frequent basis. This is usually as a result of bladder problems caused by a wide range of medical conditions ranging from Diabetes to Sleep Apnea as well as Prostrate Cancer, Multiple Sclerosis, and Parkinson’s Disease. No need to lose hope if you or someone you love is currently suffering from urinary incontinence. With the current advancements in the mattress industry, sleeping and waking up comfortably with dignity has just become possible. 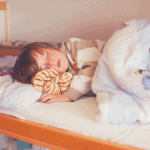 Here are the 5 best bed-wetting mattresses for kids and adults you should consider. If waking up dry and comfortable is a priority, you cant afford not to pay attention to the unique features each of them has to offer. The Drive Medical Gravity 7 Long Term Care Pressure Redistribution Mattress has made lots of waves ever since its release on the market. It provides an array of features that makes it more than a bed-wetting mattress. Patients in long-term care facilities benefit immensely from the multi-layered high density foam used in this mattress. It comes in the form of 3 full layers of foam made to provide immaculate pressure redistribution for everyone. The mattress cover is manufactured from stunning quality water permeable vapor nylon with extreme water resistance capabilities. 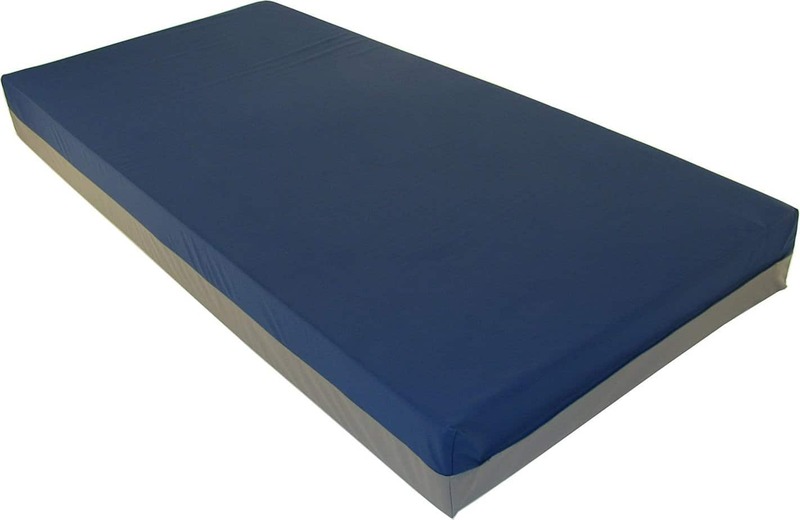 This 2-way stretch cover gives sleepers absolute comfort without compromising on the highest standards of hygiene required to keep them healthy and happy. And oh, no need to re-mortgage your home to get your hands on this model because it comes with a very generous price tag. In fact, it is the best bed-wetting mattress for those on a budget. The top layer of the foam is resilient enough to provide the level of comfort required by patients. Pressure ulcers are effectively eliminated by the ultra-soft heel section crafted to enable extremely low pressure upon contact with the skin. ​Apart from the absence of pressure ulcers, this mattress comes with an extremely low moisture transmission rate which also keeps patients cool, happy, comfortable, and dignified. The Bariatric Waterproof Incontinence Mattress stands out as one of the best urine-proof mattresses money can buy at the moment. If you are tired of your hospital or bedroom smelling like pee, you’ve got to take a good look at this model. Made from a zoned high density foam core, this mattress is crafted with the special needs of bariatric patients in mind. The perfect blend of soft, medium, and firm foams transforms into an amazing sleeping surface everyone falls in love with. The world-class design and use of the extremely advanced manufacturing innovations means you can expect it to last much longer than innerspring mattresses and other rival models in the waterproof bedding industry today. Worried about how to clean up after your loved one? Well, it’d interest you to know that it can be done with minimal stress. All you have to do is to wipe the whole surface area with a mild disinfectant such as Simple Green. The vinyl cover is soft and sealed while being waterproof, odor-free, and non-allergenic. 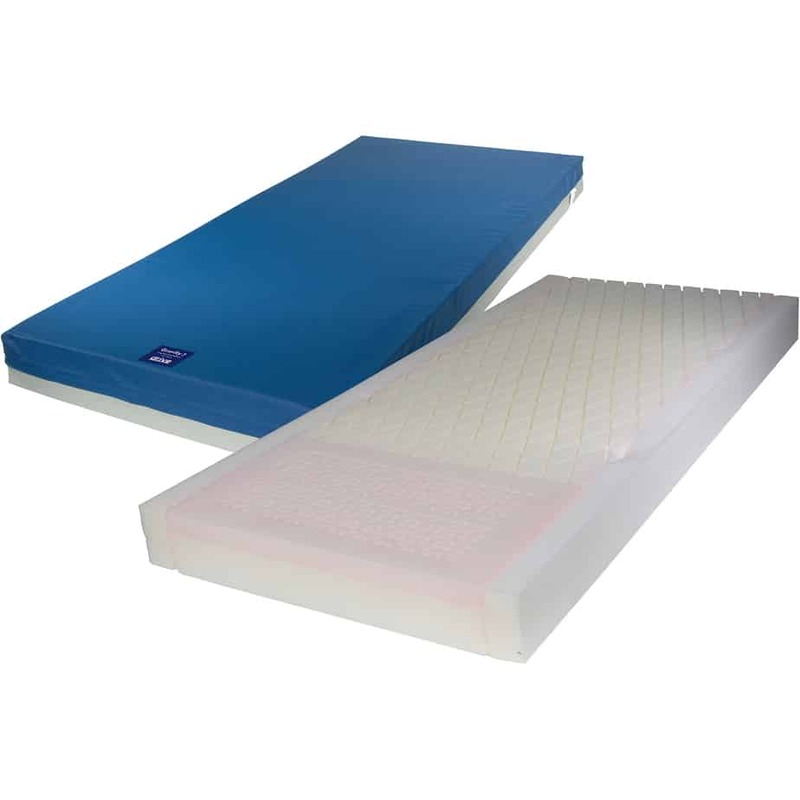 The Bariatric Waterproof Incontinence Mattress is the best option for overweight bed-wetters. While majority of the units on the market come with a 300-pound maximum user weight capacity, even a full size version of this model is suitable for those weighing up to 500 pounds. It provides the right level of support and resiliency to meet the needs of heavy adults without any part of the mattress sinking in. The Continental Sleep Waterproof Orthopedic Mattress is the perfect choice to keep your home clean and hygienic when you have children of bed-wetting ages. It is equally suitable for keeping hospitals and nursing home patients comfortable without neglecting the hygiene standards of those facilities. Whether you are a parent shopping mattresses for kids or a professional tasked with purchasing the right mattress for hospices, hospitals, nursing homes and similar institutions, you can either choose a conventional mattress or box spring that will be a nightmare to clean and dry, or opt for the Continental Sleep Waterproof Orthopedic Mattress manufactured to thrive in those settings. It comes with a vinyl cover that is super easy to clean and maintain for the comfort of your loved one or senior citizen in your care. True waterproof protection is guaranteed thanks to its ability to block fluids, making urinary incontinence the least of your problems. There are several reasons why we couldn’t keep our eyes off the Continental Sleep Waterproof Orthopedic Mattress. The specific attention to detail integrated into the mattress to guarantee a great night’s sleep for everyone is what makes it stand out. It provides just the right level of support and spinal alignment to ensure restful sleeping all night long. 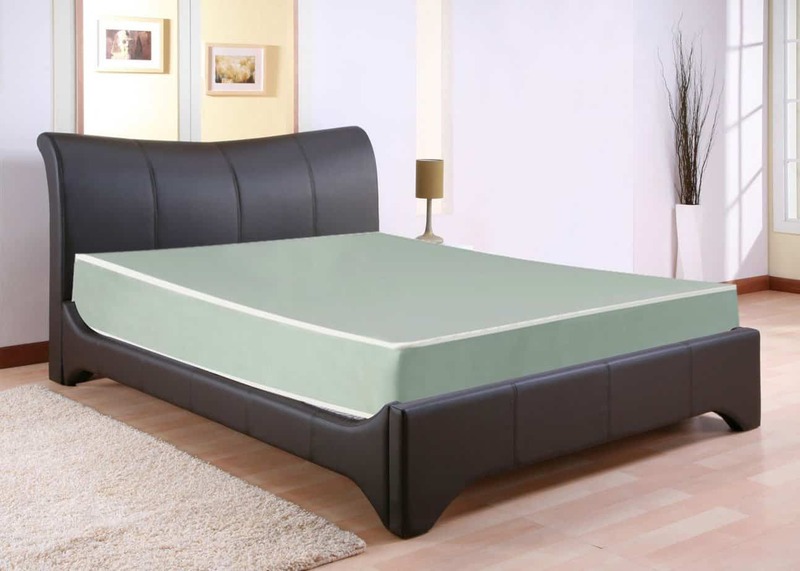 In addition, the excellent foam padding allows consumers ample luxury to make sleeping a delight again. The North American Bed-W﻿etting Mattres﻿s is another top pick for those serious about finding the best mattress for bedwetters. Available in sizes ranging from Twin to Twin XL, as well as Full, and Full XL, it is not just perfect for kids and teens that have trouble keeping it in their bladders but adults as well. The mattress is manufactured from quality medium density foam which makes it perfect for the bedridden and other seriously ill patients who spend lots of time sleeping. This waterproof sealed urine resistant bed is easy to clean even after several rounds of peeing on it. All you have to do is wipe it with a disinfectant such as Simple Green from top to down and it is good to go. The foam integrated into the mattress has been tested and certified by CertiPUR-US to be completely safe from toxic chemicals such as Ozone Depleters, Mercury, Lead, Formaldehydes, and Phthalates. It is also free from flame retardants such as PBDEs, TDCPP, or TCEPs. The North American Bed-Wetting Mattress has got a lot going for it and this is why it remains such a popular choice. The extremely soft waterproof vinyl cover is bacterial-free and odor resistant, ensuring that your loved one stays fresh even after multiple peeing sessions. ​Another great feature is the ability to flip the mattress over for extended use whenever the need arises. The Assure II General Patient and ICU Hospital Bed is designed to meet the demands that come with caring for a special-needs child or adult with incontinence problems. Optimal levels of comfort are defined, thanks to the awesome postural support available to all sleepers. 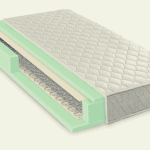 The mattress contains multiple layers of foam of different densities to enable patients sleep in peace. The Convoluted Foam Top and Bottom stays in shape even for those who are required to spend hours upon hours in bed. The core center is very resilient to prevent any parts from sagging after continuous use. Every inch of foam used by the manufacturer is CertiPUR-US certified meaning you or your loved one can sleep in peace without worrying about coming into contact with harmful chemicals. It is also manufactured according to the standards of the Consumer Product Safety Commission ensuring no Phthalates and Low Volatile Organic Compound emissions for world-class indoor air quality. The Assure II General Patient and ICU Hospital Bed needs no introduction when it comes to the best bed-wetting mattresses. In addition, there’s a secondary fluid barrier which is thermally sealed between the cover and the foam itself to keep the mattress dry all day long. ​This guarantees 2-way protection i.e. for the foam in the event that the outer cover gets compromised and also to prevent the foam’s plasticizers from putting undue pressure on the cover which can cause it to become brittle. All urinary incontinence mattresses are not made same so it is important to find the very best one out there during the shopping process. We have compiled the most comprehensive shopping guide to help you choose the best urine-proof mattress. 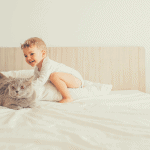 Whether you own a bed-wetting mattress or regular model, a waterproof mattress protector can offer extra comfort while keeping the main mattress intact and free from contact with urine and other body fluids as well as dust mites, allergens, and other microorganisms. For those who own traditional mattresses, the right waterproof mattress topper can be an affordable way to get all the benefits of a full-blown bed-wetting mattress without having to splash out on a dedicated one. Bed-wetting mattresses generally fall into 2 categories: memory foam and innerspring and each of these come with its own unique advantages. After our range of tests, those with just memory foam tops were found to be the most luxurious option for sleeping comfort. If you can’t afford one with complete memory foam top, it should cover the heel region at least. The number of layers of foam integrated into a specific model of mattress is one of the most important factors you can’t afford to ignore when searching for a quality mattress for bedwetters. Typically, the higher the number of layers, the higher the level of protection it offers against soaking up urine. That being said, it is important to choose one that comes with at least 3 layers of quality foam. This will ensure the proper level of cushioning desired by patients to enjoy their sleep. All mattresses designed for urinary incontinence should have one thing in common: a waterproof cover. If you are serious about getting the best comfort for your loved one, it is important to get the cover right as well. We recommend that you choose a mattress that comes with a cover manufactured from either vinyl or polyurethane material. Premium models from North American and other brands feature polyurethane coated vinyl covers to give consumers the best of both worlds. These covers add more years to the lifespan of the mattress thanks to their ability to protect them from not just urine but odors from sweat and other fluids as well. 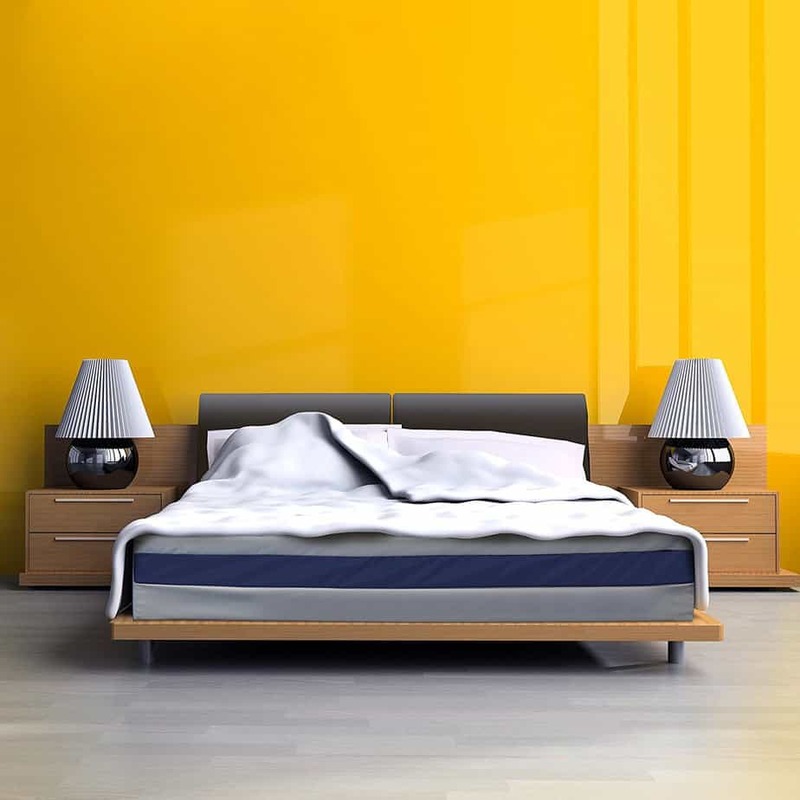 For those who are allergic to dust mites and other allergens which may reside inside the mattress, it is important to choose a mattress featuring a cover that deliver the necessary protection. The sealed cover should surround the entire length and breadth of the mattress to keep out moisture. The fact that your primary concern is to find a mattress that protects against urine and other fluids doesn’t mean size should be ignored. 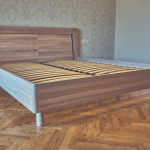 It is important to choose a size that gives the sleeper enough room to maneuver without falling off. Twin is the most popular bed wetting mattress for kids while skinny teens can make do with Twin XL models. However, teens who are bigger will definitely feel more comfortable with anything from Full to Full XL mattresses. Optimum sizes for adults range from Full to Queen mattresses depending on the individual’s preferences. The importance of selecting an easy-to-clean urinary incontinence mattress cannot be overemphasized. Unfortunately, most people with chronic conditions that affect the ability to control the bladder end up wetting their beds on a daily basis. Choosing a model that can be easily wiped with a mild disinfectant from top to bottom can therefore be lifesaving. With the need to clean every day and multiple times per day in some cases, who wants a model that can be a nightmare to clean and dry? Most adult bedwetters and special needs kids spend more time in bed compared to others. This is why it is important to choose a mattress that delivers perfect levels of cushioning to prevent pressure ulcers and the resultant body pains. Sure, you may find a not so comfortable mattress that provides 5-star urine-proof capabilities. However, what’s the point of buying it if your kids or loved ones wake up in pain every single morning? Choosing a mattress that delivers excellent postural support in the form of spinal re-alignment can be critical for your loved one. Senior citizens, terminally ill patients, and others who live in nursing homes and other care facilities require all the comfort they can get. 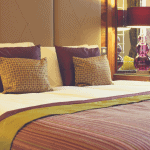 It is therefore important to take their holistic comfort needs into consideration. Like regular models, bedwetting mattresses come with maximum user weight capacity to serve as a guide to you. No matter how much you love a particular model, it is important to move on if you weigh more than it can take. Majority of the models in our 5 top picks come with weight capacities hovering around the 300-pound limit but the Bariatric Waterproof Incontinence Mattress accommodates those weighing up to 500 pounds. Budgets designed for bed wetting patients come in wide ranges of not just models and sizes but price tags as well. From just under $200 to over $1,000, there’s a model out there for you no matter how much you can afford to spend. Just analyze our top picks side by side in order to choose the one that meets your budget and performance needs. Keep in mind that the most expensive options may come with more integrated support and performance features. However, this doesn’t necessarily mean that the less expensive options are in any way inferior. We trust that you’re now in a position to purchase the best mattress for bedwetters for your kid or a loved one. Remember, each of the 5 reviewed here offer excellent urine-proof properties as well as other unique benefits. The North American Bed-Wetting Mattress is our top pick if it falls within your budget and current body weight thanks to its extensive features and support. On the other hand, the Drive Medical Gravity 7 Long Term Care Pressure Redistribution Mattress is our affordable pick if money is tight.